From the author of the New York Times bestseller The Vacationers, a smart, highly entertaining novel about a tight-knit group of friends from college-- and what it means to finally grow up, well after adulthood has set in. Back in the band's heyday, Elizabeth put on a snarl over her Midwestern smile, Andrew let his unwashed hair grow past his chin, and Zoe was the lesbian all the straight women wanted to sleep with. Now nearing fifty, they all live within shouting distance in the same neighborhood deep in gentrified Brooklyn, and the trappings of the adult world seem to have arrived with ease. But the summer that their children reach maturity (and start sleeping together), the fabric of the adult lives suddenly begins to unravel, and the secrets and revelations that are finally let loose--about themselves, and about the famous fourth band member who soared and fell without them--can never be reclaimed. 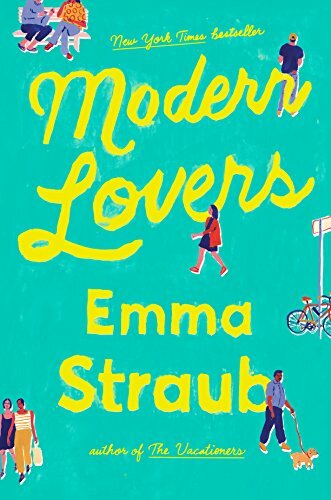 Straub packs wisdom and insight and humor together in a satisfying book about neighbors and nosiness, ambition and pleasure, the excitement of youth, the shock of middle age, and the fact that our passions--be they food, or friendship, or music--never go away, they just evolve and grow along with us. Elizabeth, Zoe and Andrew met at college, had a band, grew up, settled in New York and somehow twenty years passed by. Still living round the corner from one another (and in each other's pockets) they're watching as their kids come of age one hot summer. But just as the kids start making those first hesitant steps into adulthood, so it's the parents who find that the lives they've so carelessly stitched together begin to slowly unravel . . .